These look delicious and perfect for 4th of July next week! Where do you find crushed dried jalopeno pepper? Just made them. Yum yum. Nuff said. 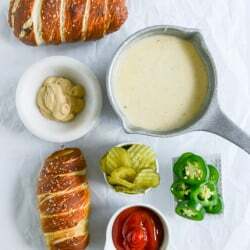 Hi there, my sister makes this recipe from time to time, and my family LOVES it. I want to make these for my son’s birthday party, but in the interest of time was hoping to make them prior to and freeze them. 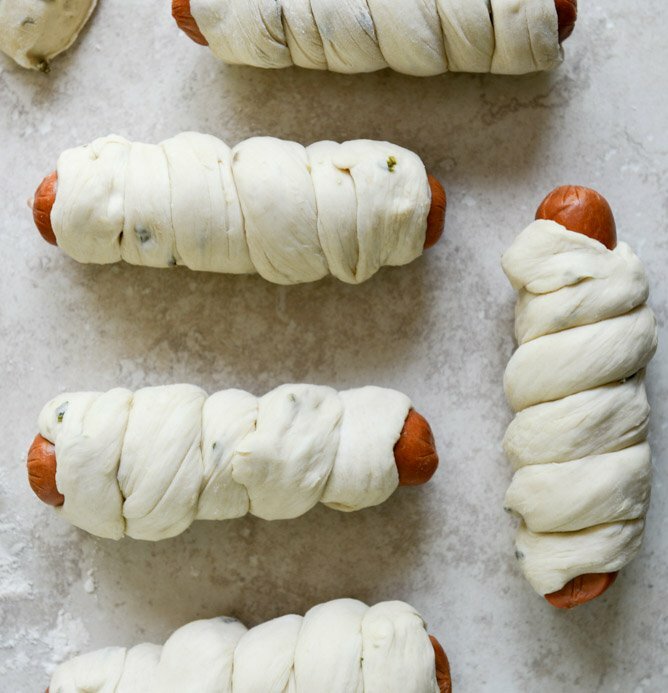 Do you think it would work if I made the dough, wrapped the hot dog, and then froze them? I am assuming I’d need to take them out of the freezer, let them thaw a bit, then boil and bake? Do you have any suggestions?